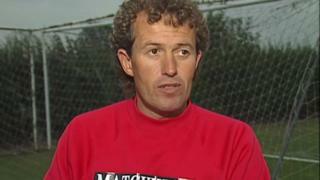 Former football coach Barry Bennell has been charged with eight offences of sexual assault against a boy aged under 14, prosecutors have said. The Crown Prosecution Service said it had received a file of evidence from Cheshire Police relating to allegations of historical abuse. Mr Bennell, 62, is a former youth coach at Crewe Alexandra. The CPS said he was scheduled to appear before South Cheshire Magistrates' Court on 14 December. The offences are alleged to have been committed between 1981 and 1985. Mr Bennell has been discharged from hospital after being found unconscious at an address in Knebworth Park, Stevenage, on Friday. The CPS said in a statement: "The Crown Prosecution Service reminds all concerned that criminal proceedings against Mr Bennell will now begin and that he has a right to a fair trial. "It is extremely important that there should be no reporting, commentary or sharing of information online which could in any way prejudice these proceedings."